How to Tell the Difference between a Migraine and a Headache. When there is pressure or pain in your head, it can be difficult to tell just exactly what it is. The only thing which they both seem to have in common is that they both cause pain! Some ways to help you differentiate between a headache and a migraine. Unfortunately, the difference between the two is not generally well-known – but here are a few ways to help you decide whether you suffer from migraines or traditional headaches. Headaches are among the most common health problems that doctors are called upon to treat. 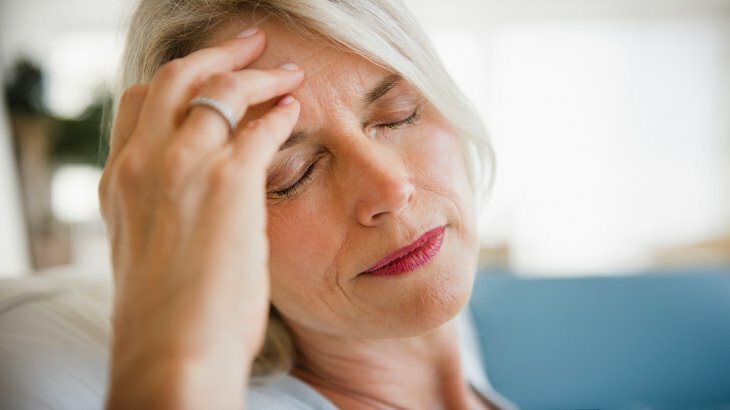 Traditional headaches can be painful, annoying, and sometimes also debilitating for some folk, but medical experts do agree that ordinary headaches pose very few health risks. ØTension headaches are by far the most common form of the problem. While the specific cause of these headaches is not fully known, it appears to be strongly related to stress, anxiety, and tension in the muscles of the neck and shoulders. Some food allergies, sinus infections, and a lack of good sleep, may also be factors. ØCluster headaches are headaches which are extremely painful, and usually occur on only one side of the head. They also come in cycles, which means that you may have a run of headaches, followed by headache-free periods. Ø“Thunderclap” headachesare very severe, can develop in minutes, and may point to serious medical issues. These include a bleeding between the brain and the tissues that cover the brain, an aneurysm, stroke, or a head injury. This kind of headache requires immediate medical intervention. These types of headaches respond well to treatment, and often over-the-counter meds such as analgesic pain-relievers, aspirin, and inti-inflammatory meds like ibuprofen. Headaches may last up to 30 minutes or more. ØPain in the temples, or behind one eye. ØVision disturbances such as flashing lights and zigzag lines, or even temporary vision loss. ØThe migraine pain, which has a throbbing quality, intensifies with physical exertion. ØMigraines typically last from 4 to 72 hours. There are also often warning signs, similar to the symptoms, which indicate that a migraine may be on the way. There are specific medications to help manage migraines and headaches. However medical experts agree that among the underlying causes of both these ailments, are high levels of emotional stress and anxiety. Antidepressant and calming meds are not ideal to take long term, as many come with potentially harmful side effects. Research has revealed that relaxation techniques can help to reduce stress, relieve pain, and lower the risks of future attacks. Studies have shown that best way to learn relaxation exercise is by means of hypnosis. How hypnosis and NLP, or hypnotherapy works. Hypnosis works by accessing the subconscious mind when you are in a relaxed state, and helps you to form positive images to deal with the physical symptoms you may be experiencing. The therapist will teach you how to focus and concentrate by using the power of your mind to deal with the physical sensations, especially those of anxiety which threaten to overwhelm you. You will also learn how to recognize the triggers which may lead to both migraine and tension headache attacks, so that you will have the confidence to cope with any physical symptoms which may arise. Medical hypnosis is a fully recognized science which has been successfully used in helping people to manage the pain and physical symptoms of severe migraine attacks.